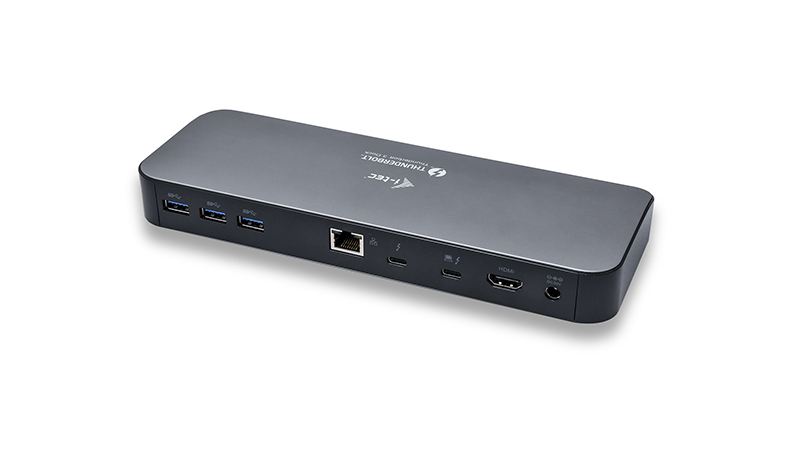 Add this Dual 5K Capable i-Tec Docking Station for a 5K or Dual 4K Displays. 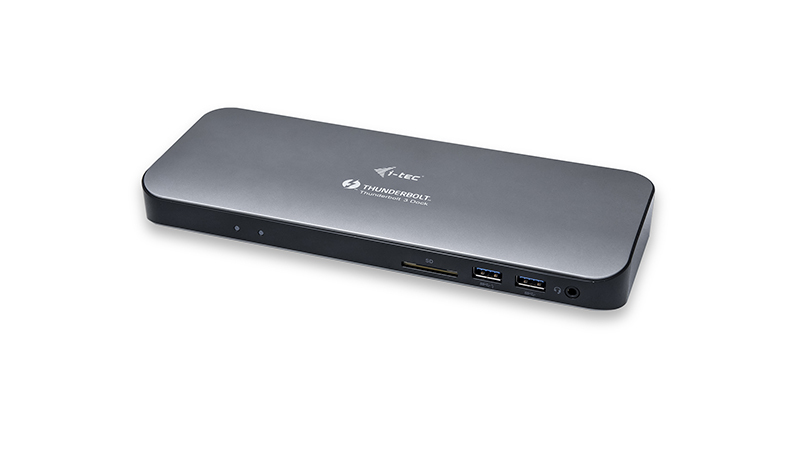 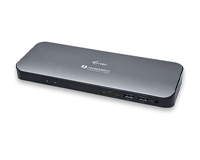 The i-Tec Thunderbolt 3 Dual 4K Docking Station features the ability to display 5K or dual 4K Display Port. 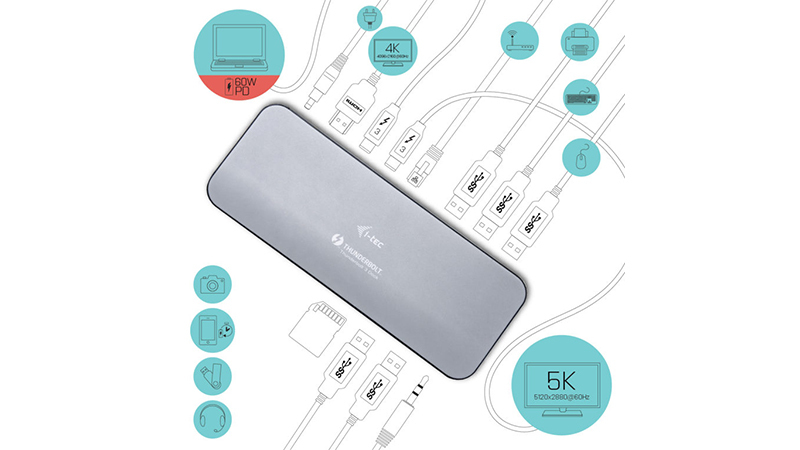 This Portable product allows you to break through the barriers of MacBooks incompatibility by providing USB 3.0/USB-C/Thunderbolt 3 alongside the SD Card Reader, Ethernet Port, Audio and HDMI. 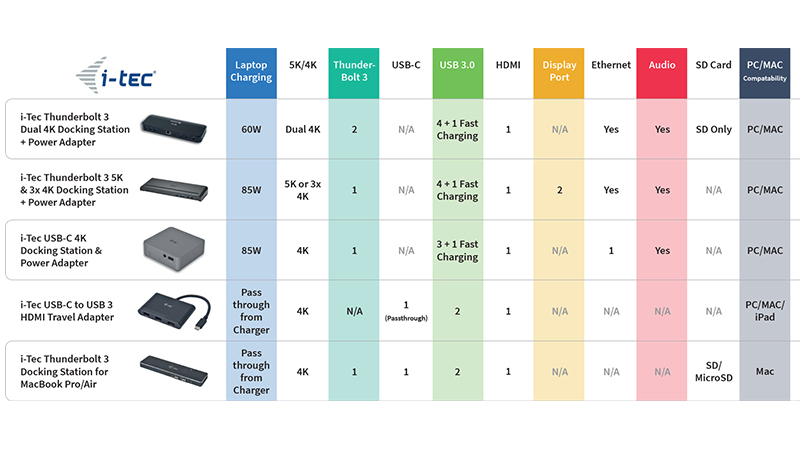 Leasing the i-Tec Thunderbolt 3 Dual 4K Docking Station provides you with an increased amount of utility with its versed expanded selection of connectivity options including 5K Display capabilities of your notebook.